The Lemnotis family has owned and operated small family businesses in New Britain since 1949. Their entrepreneurial spirit continues on here at Five Churches Brewing today. It all started when Peter was in his office looking out his window and asked Phil “What should we do with the extra space in the building next door?”. Phil (an avid craft beer drinker) answered “How about a brewery?”. Peter answered “Ok” and Phil said “Really? !” And roughly two years and some additional business partners later Five Churches Brewing opened it’s doors. Being the savvy business men and women that they are, the Lemnotis’s realized that they were going to need to bring in some additional help to make this new business venture a success. So they set out to find a Head Brewer and had their taste bud’s socks knocked off by Austin’s brews. Mike brought his culinary background and expertise to the plate and was the obvious choice to manage the wood fired pizza oven area including designing our delicious weekly pizza specials. 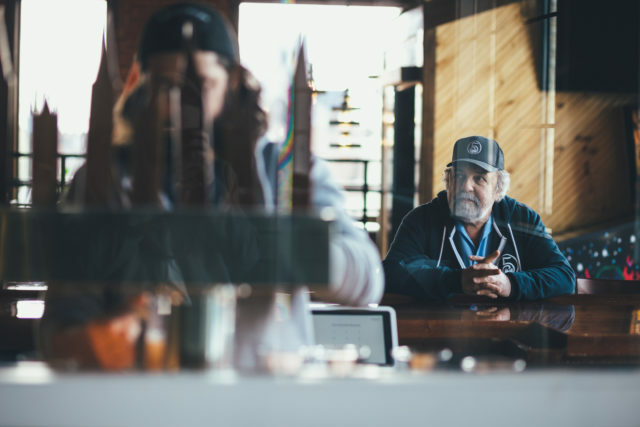 When we set out on this journey to bring a brewery to the already up and coming downtown New Britain area, it was important to us to have a comfortable and approachable taproom atmosphere for everyone to come and enjoy the fine art of craft beer and delicious pizza from our wood-fired oven. 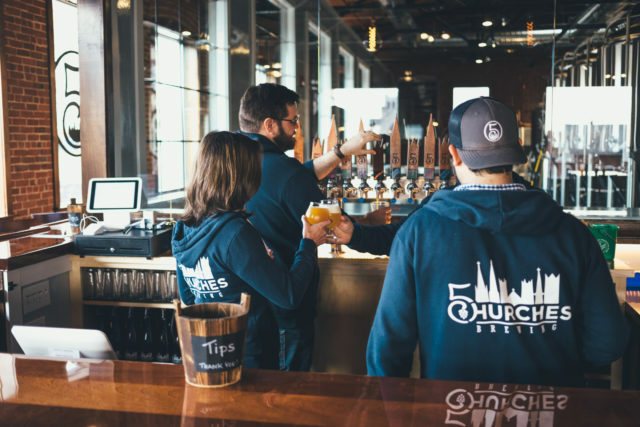 We invite all to come join the Five Churches family by sharing in the experience of our passion for craft beer and for our neighborhood.